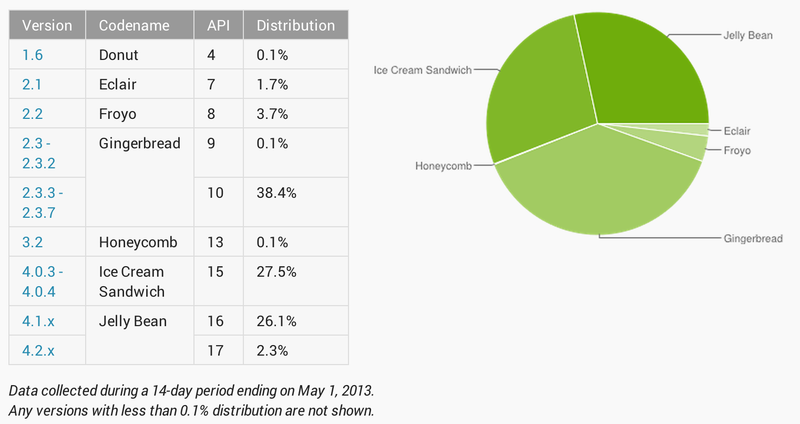 Google has published its monthly numbers for Android version adoption, with Jelly Bean climbing 3.4 percent to 28.4 percent of active devices, while Ice Cream Sandwich fell 1.8 percent to 27.5 percent. After dropping beneath the 40 percent mark last month, Gingerbread slid even further to 38.5 percent. Meanwhile, Froyo and Eclair came in at 3.7 percent and 1.7 percent, respectively, and Donut held on at 0.1 percent. In April, Google changed the way it reports this data, taking snapshots for devices where the user intentionally visits the Google Play Store during a given period instead of just checking in to Google servers. While the move is meant to help the figures more accurately represent users who are “most engaged in the Android and Google Play ecosystem”, it leaves out data from regions, such as China, that use alternative app stores. The Chinese market has been flooded with low-end Android handsets, many of which are forked from the official versions, so actual worldwide Android adoption would likely look quite different from the numbers Google comes up with. Gingerbread, which was released in December 2010, still makes up the largest portion of Android devices on Google Play, but Jelly Bean, which first hit the market in June 2012, is set to overtake it in a few months if the current trend continues. A new version of Android is likely to arrive at Google’s I/O developer conference, which takes place later this month. 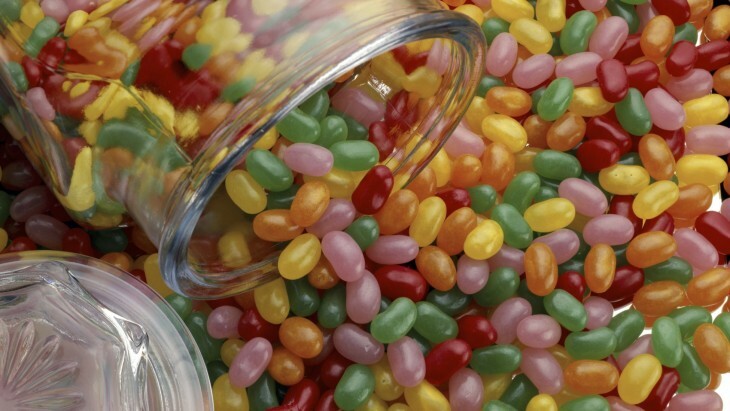 Current rumors suggest that the update will be another version of Jelly Bean (presumably version 4.3) instead of Android 5.0, also known as Key Lime Pie.